If you ask most staffing companies what sets them apart from everyone else, the first words out of their mouth will probably refer to customer service. While customer service is important and is certainly something we pride ourselves on, we know there is more to being an effective staffing company than simple customer service. What truly sets Resolution Technologies apart from other staffing companies is our focus on building relationships, and not just having customers. When we interview candidates to prepare them for placement, we take the necessary time to get to know who they are today, and how they imagine their career developing into the future. We look beyond the resume, experience, and education; this allows us to help match candidates to available positions based on their intrinsic qualities and their hard skills. We understand that being a successful employee is only partially about being able to perform the job duties. Finding a workplace culture that suits your needs is just as important. That’s why we get to know our candidates, so we can help them find a position in which they can excel and not just get by. We listen to their frustrations and look to provide long-term opportunities that meet their needs professionally and personally. Every candidate is unique, and we value that. By working with us, we can help find that ideal position based on what makes you uniquely “you”. Without our client companies, we would not be able to do what we do. To provide the best service possible, we look to form long-term relationships with every business we have the pleasure of serving. 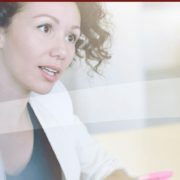 We take the time to understand the idiosyncrasies that make your organization unique, allowing us to recommend candidates who are the most likely to be compatible. While we know that current technical skills are a priority, we also want to provide your company with more than just a shopping list of competencies when we locate candidates. Our process looks to learn about more than just the hard skills you need. We work to discover the right soft skills that allow employees to be successful in their employment with you, and make sure that candidates will integrate into your current culture with ease. Just as no two candidates are the same, no two companies are alike either. And we wouldn’t have it any other way. Whether you are an IT candidate or a company needing IT employees, we will make sure to get to know you first. Then, we will take our IT staffing experience and put it to work for both candidates and clients. Let our firm focus our dedication to IT staffing on your needs. We have gotten to know some of the greatest candidates and companies in the area. and are prepared to meet the demands of today’s job market. We are committed to excellence every step of the way. Contact Resolution Technologies. We look forward to getting to know you. How does an Olympic soccer player feel about competing in Rio de Janeiro this year? Our marketing intern, Heather, got to pick Nataly’s brain again to find out. 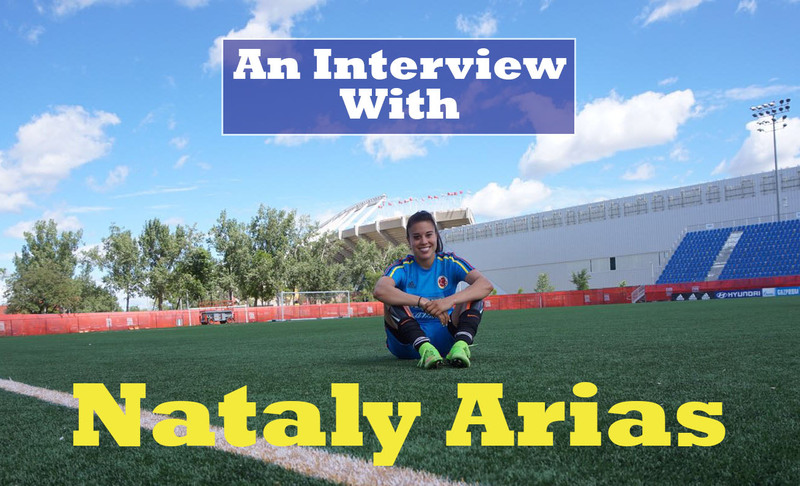 This time, she asked Nataly’s opinion about Rio, how she gets along with her teammates and if she’s the only dual citizen on the Colombia team. HW: Have you ever been to Rio de Janeiro before? NA: Nope, it will be my first time, which I’m super excited about. It was always on my bucket list to go. It’s just stunning landscape, and culturally very significant. I value the Brazilian culture, especially because Brazil is considered one of the birthplaces of our sport, so it’s always kind of a reference point for a lot of players– the style they play, the freedom with which they play and the technique– so it will be cool just to play on their soil. HW: What are you most looking forward to about the Olympics in Rio? NA: Just another opportunity to compete at the highest level. I think that’s the driving force for me a lot of the time. It’s just another opportunity to do something that I’ve always wanted to do and I’ve loved to do since I was four years old. There’s a different sensation when I compete or when I’m on the field, and it’s just a different drive, a different type of personality, almost. So it’s about being able to unleash in a way that I’m not able to on a day-to-day basis, and just kind of push myself to that competitive limit. It’s just more of the competition, and it’s also another opportunity to represent my country, which is the highest honor any athlete has. And to get a chance just to play with my team that’s like my family. HW: So you’re close to your teammates? NA: Yeah. I mean, I’m one of the older players, not just in my age but I’m also a veteran of the team. So a lot of them are coming up and getting experience under their belt and need a little bit of a guiding force. I feel like that’s my responsibility a little bit. So yeah, they’re just kind of like my little sisters. Not all of them, some of them are around my age group and we feel like we’re in the same life phases. But as a team we are in some different phases of life so that’s always kind of fun to experience, and also a little challenging. HW: How often do you see your teammates? NA: Only for camp and when we’re competing. HW: Are you the only one on your team who doesn’t live in Colombia? NA: No, I am one of three, I think. The other two live in Florida, one in West Palm Beach and one in Boca. So they live pretty close to each other and they train together. One of them is a goalkeeper and the other is a defender. For these two tournaments, the World Cup and the Olympics, there are three of us. For the last cycle– the last World Cup and Olympics– I was the only one, the only American and Colombian dual citizen. Here at Resolution Technologies, we understand that serving our clients and consultants is what matters most and promise to never lose sight of that! We take the time to understand your individual needs through face-to-face interaction and strive to always make sure your objectives are met. Resolution Technologies is a full-service Information Technology Staffing firm offering flexible solutions for our clients ranging from contract, contract-to-perm, and direct perm placements. Whatever your needs are, we promise to provide unrivaled quality and service. 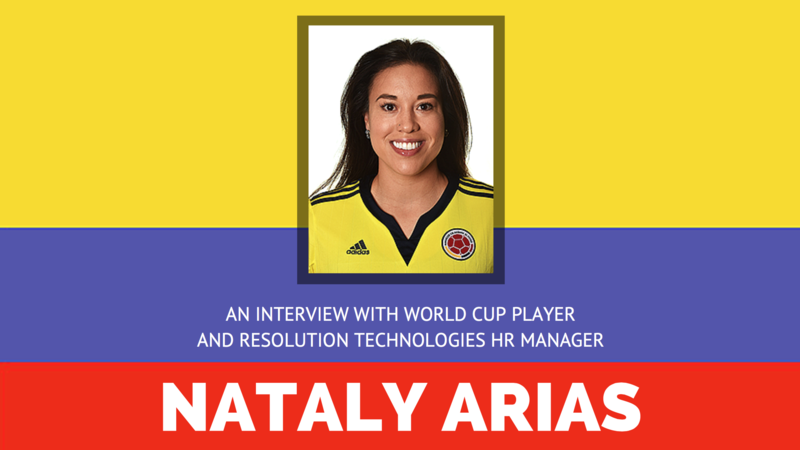 Our Human Resources Manager and Colombia women’s soccer player, Nataly Arias, is competing in the Olympics this year in Rio de Janeiro! Heather, our marketing intern, got to sit down with Nataly and talk to her about her experience with the Olympics, and how it compares to the World Cup. H: Will this be your first Olympics? NA: No it won’t, I competed in the London Olympics in 2012. NA: It was…. I hate to sound cliché, because we end up saying kind of the same thing most of the time, but it was an incredible experience. It was what I had always dreamt of as a kid; getting to meet so many people from other parts of the world and different walks of life, other disciples, other sports and seeing how they train. It’s just a very humbling experience and it fills you with a lot of gratitude and appreciation for what you’ve accomplished. It’s also kind of like the most exclusive club in the world, because not many people reach that pinnacle of their discipline or of their sport. H: How many World Cups have you competed in? NA: Two. The World Cup in 2011 in Germany, and then the last one in 2015 in Canada. H: You competed in the World Cup last year. How does the World Cup compare to the Olympics? NA: I grew up, in the purest sense, just a diehard football fan. I loved South American and European soccer. Obviously, when I was a kid the MLS (Major League Soccer) launched, but I was about eight or nine, so those early, early years were about watching abroad. The World Cup was always the pinnacle for me, and as a girl I always thought “I’m gonna do that.” Even though there wasn’t a platform– well there was, but it was much smaller at the time– I was convinced. I thought, “well then, I’ll make a boys’ team.” I wanted to figure out a way to play in a World Cup because to me, the World Cup was the pinnacle. We’ll be checking in with Nataly periodically to see what she’s looking forward to most about going to Rio, what her training schedule will be like, and which teams she’s most excited to compete against. Make sure to follow us on social media to keep up with her story! And check out our interview with her last year, before the World Cup, here. Happy one-year anniversary! 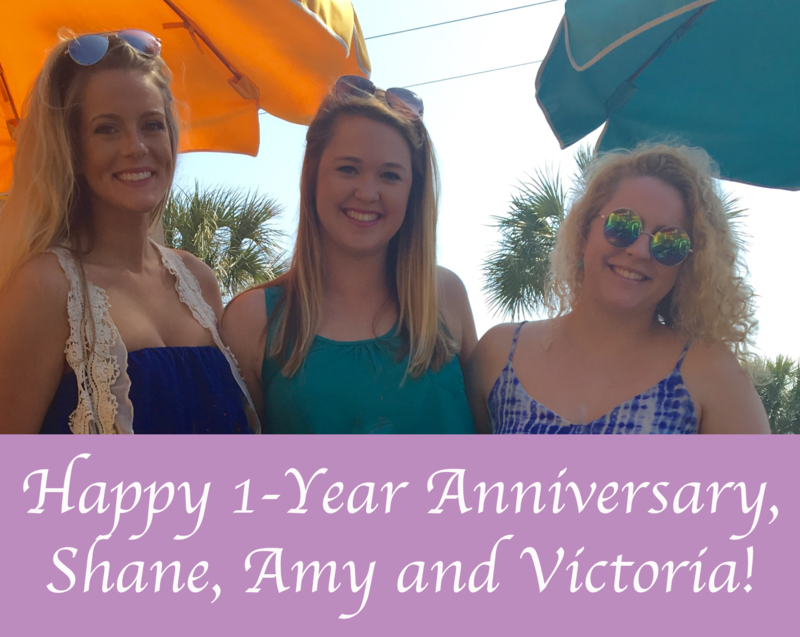 On June 1st, Senior Technical Recruiters Shane Kantor, Amy Watson and Victoria Truitt celebrated working one year at Resolution Technologies. Our Marketing Intern, Heather Wiedman, got the chance to sit down with them and talk about what they’ve learned over the past year and what they’re looking forward to in the future. HW: How did you first hear about Resolution Technologies, and is this your first job out of college? SK: Yes, I found out through Dawglink at UGA, so I interviewed on campus and then I interviewed here. It was actually one of the first jobs I interviewed for. AW: I found them at the UGA career fair. They talked to me, and I guess they liked me because they brought me in to interview here. VT: And I found out the same way Shane did, through Crimson Careers for the University of Alabama; I had an interview on campus with Joe, and then they brought me in for an interview in the office. HW: What is your favorite part about working at Resolution? SK: I think my favorite part is the people that we’re working with; we’re all recent college grads so we’re all kind of transitioning together. Also, another benefit is the ability to affect how much money you’re making. The amount of work and time you put into this job directly affects the amount of compensation that you’re going to get. We have a generous base salary but the majority of our compensation is going to come from commission. AW: Going off of what Shane said, I really like the company culture. It’s nice to work with your friends and we get to go out and have team bonding events like kickball and Braves games, stuff like that. Also, Joe and the account managers are really good at what they do, so it’s nice to have people to look up to. VT: Yeah, I definitely agree with Shane about the salary and commission part; being able to see the hours you’ve put in reflected on your paycheck is really nice. As well, it’s really nice working with you guys and everyone else. I know a lot of people who, after college, start working with people who are a lot older than them, or just in different walks of life, so it’s good that we’re kind of all in the same place and we relate to each other really well. Also, I like that it’s fast-paced. It’s not always that way, but I like that there’s always something different going on and different things to be working on. And I really like working with people in IT. They’re interesting people and fun to talk to and smart, and I really like learning what those people do. HW: Well, Amy sort of touched on my next question, but how would you describe the company culture? SK: Work hard, play hard. AW: Really young and fast-paced. VT: Yeah, and when you work hard, you get rewarded. We have a contest going on in June; if you get two starts you get a gift card, so there are a lot of incentives. AW: I mean for the most part we’re all really good friends and it is nice coming to work with people you consider your friends, not just coworkers. HW: What are some things you’ve learned over the past year here? VT: Organization! And time management. Also, learning how to just be comfortable talking with different people, especially when you’re talking with people about things you don’t know. Being comfortable asking questions and asking for help. And knowing how to navigate the business world. AW: Being professional, going in front of clients and doing interviews. Like Vic said, just learning to be professional and being in the professional world. We have opportunities to talk to very senior professionals as well as those entering the professional workforce; I’ve become very comfortable speaking and meeting with people all over the spectrum. SK: I think working in a smaller company with upper management that have been in this industry for so long, getting access to them as our mentors and being able to really spend time learning from them, has allowed them to pass on their knowledge to us. Having to step out of your comfort zone, and being able to present yourself in situations with senior managers has been really helpful as far as professional development goes for me personally. HW: Do you have any goals for the next year at Resolution? AW: I think the company goal is to open an office in Nashville, and I would love to be a part of that, just helping the company grow. I also want to be a good mentor to the new recruiters. SK: Yeah, I would say that I want to be able to pass on my knowledge and what I’ve learned in this first year here, helping the new recruiters get to the next level, whatever their goals are. VT: My goal is account management. HW: If you could go back in time and give yourself one piece of advice before starting here, what would it be? VT: Learn to pick your battles. It can be a very stressful job, so tensions are high sometimes. I’ve found that I don’t always react the best way, especially with stress. So just learning to pick my battles and not stressing out too much, because it will work itself out in the end. VT: Yeah, talk to the candidates like how we’re talking now. AW: Exactly, just be comfortable with the candidates and confident in my skills as a recruiter. SK: I would say the same thing, be open to stepping outside your comfort zone, which this job forces you to do. The sooner you allow yourself to go outside of what’s familiar, that’s where all your learning takes place. Just push yourself as much as possible in order to grow. https://www.resolution-tech.com/wp-content/uploads/2014/10/company-1.png 800 800 Resolution Technologies https://www.resolution-tech.com/wp-content/uploads/2014/04/logo.png Resolution Technologies2016-06-15 09:32:212016-06-16 18:15:29Happy 1-Year Anniversary! 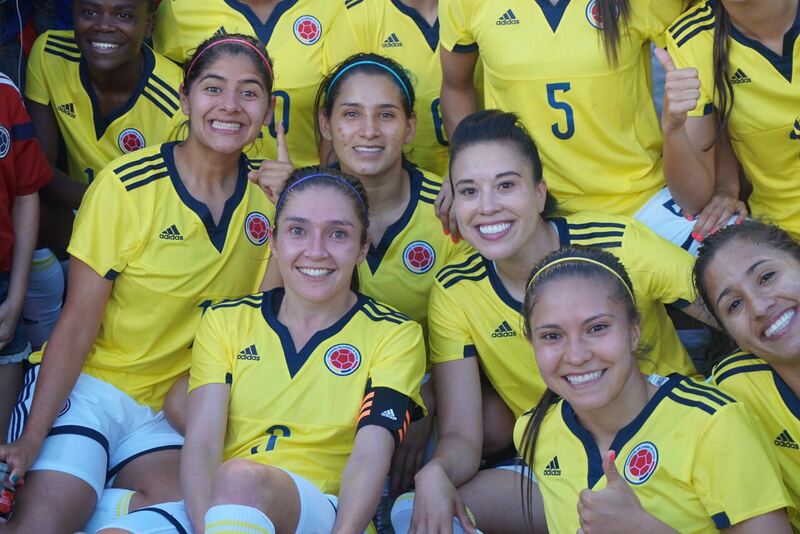 One of our very own, Nataly Arias, just finished competing for the Colombia National Team at the Women’s World Cup in Canada. Our Marketing Intern, Jordan Tucker, had the chance to sit down with her to discuss her experience and what she’s looking forward to next. J: Can you start off telling me a little bit about yourself: where you’re from, where you went to school and how you got here to Resolution Technologies? N: I was born in Arlington, Virginia and was raised in Alexandria, VA. I went to college at the University of Maryland. My boyfriend moved down here to work for Coca-Cola, so after the Olympics, I moved down here and have now been in Atlanta for about 2 years. I worked a temporary job for three months and came to ResTech after that and have been here ever since, working as the company’s Human Resources Manager. J: You just competed in the World Cup for Colombia. What got you involved in soccer in the first place? N: I started playing when I was 4. My dad played professionally in Venezuela, so there was always a ball around. I loved to play from the beginning just for fun. It was a great way to meet new groups of kids. At first it was just about liking it, having fun, and running around. I started playing more competitively around age 7 when I was on my first club team. J: You said you first played for fun. Once you started playing, did you ever think you’d get as far as you have? N: At first, it was just about having fun and playing with my teammates, enjoying tournaments and traveling. Getting that trophy at the end was the motivation. I didn’t really start to have high aspirations for playing until I was probably 10 or 11 when I was able to see some international games and US National Team players. I always followed the men’s Colombia National Team, and seeing their success in the early 90s was really fun to watch. I started thinking, if men can represent their country, then I can too. I can play, and I love it, and I was willing to put in the work and the time because I never thought it was training. I just thought it was fun, so I always loved the aspect of working and getting better. I was thinking, “let’s see how far we can take this.” And then at that point, it was like let’s work towards getting into a college and getting a full-ride. Hopefully I’d get to the national stage and go from there. J: Tell me about your experience at this year’s World Cup. What were your favorite parts, and what position did you play? N: I’m a center-back, so I’m a defender. This is my second World Cup. I’m getting close to 50 international caps for my country. It’s always difficult for me to describe how it is or how it feels to be there because it’s a flood of emotions all the time. Our goal as a team was to go and make history. We wanted to go further than we’ve gone before. The last World Cup was a great experience for us because it gave us the experience to come back and be able to really challenge other big powers in the Women’s games. This time it was small steps — let’s win our first game, score those 3 points, score our first goal, get out of the group stage. So things like beating France (the #3 team) as the #28 team in the world got us noticed on the world stage. There’s absolutely nothing more satisfying than representing your country in this way. As an athlete, that’s what we all work for. After all the hours of training, hard work and discipline, when you’re standing in front of your fans and your family singing the national anthem, it’s one of those moments when it’s hard to focus after because you just feel so good and accomplished. But then it’s time to play 90 minutes and leave everything out on the field. It’s an incredible honor to be included in the best female players in the world and compete at that level. There’s all that passion and intensity to be able to show people that the women’s game is growing. J: Why Colombia? Why didn’t you play on the US National Team? N: I grew up in a multicultural home, with my dad being from Venezuela and my mom from Colombia. Although I’m very proud of the fact that I’m a first-generation American, the culture of Colombia was always one that was close to my heart and that I associated with the most. When I got the chance to try out and play for the Colombia National Team, I couldn’t pass up the opportunity. Even though I wasn’t born there, I still bleed yellow, blue and red like the rest. J: What do you think is the best part of playing on a team? N: The best part of a team is that you really get to know people at their core. We all get to smile together, but we all suffer together too, whether that’s fitness training or weight training. We all get to pick each other up, and it’s just a lot of trust and confidence in each other. Whether you are a part of a sports team or a team at work, it’s important to work together and support each other. J: If you had one piece of advice for someone trying to pursue their dreams, whether that’s in athletics or in their career, what would it be? N: I would say never give up on your dreams. The only one holding you back from what you want to do is yourself. I think you can do anything you set your mind to, and the sky’s the limit. Whatever you’re wanting to accomplish, work hard at it and practice as much as you can, and you’ll eventually get to where you want to be. When playing soccer, ultimately, I do it for the younger generations so that they have a place and so they can say that they want to play at that level. There were little girls all over the world that were hopefully able to watch and have that drive and passion to say, “I want to get there someday or play in an Olympics.” That’s why we do it. We were those kids that didn’t maybe have those players to look up to, so we want to play to inspire them to pursue their passions and goals. She leaves on Wednesday, July 8th for the Pan Am Games in Canada, another Olympic-style tournament. Colombia will face Mexico on Saturday, July 11th. Nataly also hopes to compete in the next Olympics — Rio 2016 in Brazil. 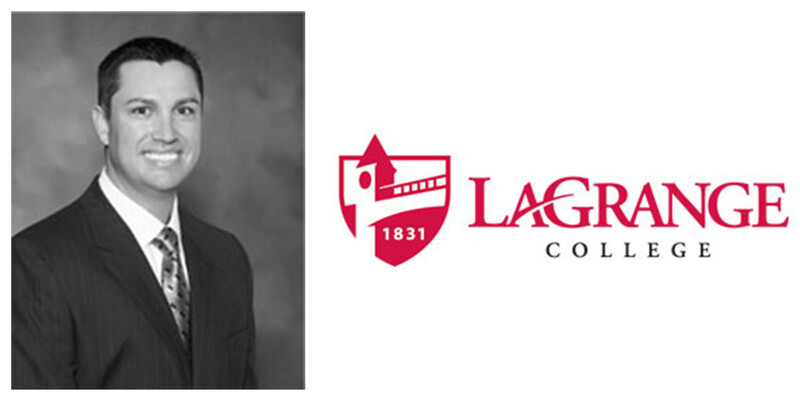 LaGrange College will celebrate the accomplishments of outstanding alumni during Homecoming activities Oct. 17-19. Bell earned a bachelor’s degree in psychology from LaGrange College in 1999 and a master’s degree in applied cognition and development at the University of Georgia. He is president of Resolution Technologies Inc., a full-service information technology staffing firm. He oversees all sales, recruiting, operations and marketing functions for the company. Bell began his career as an account manager at Insight Global before becoming vice president for business development at Internal Data Resources. Resolution Technologies Inc. has twice received the Pacesetter Award from the Atlanta Business Chronicle, and the publication has ranked it No. 2 out of the Top 50 fastest growing companies in metro Atlanta for 2009-2012. In 2014, the firm was named a Bulldog 100 winner, recognizing it as one of the fastest growing companies owned by a UGA graduate. Bell volunteers with the American Red Cross and works with Hire Heroes, an initiative that helps unemployed veterans find jobs. He is a member of Peachtree Presbyterian Church. He is married to Blair Bell, and they are expecting their first child in December. Bulldog 100 recognizes the 100 fastest-growing businesses that are owned or operated by UGA alumni. To learn more about this exciting program, check out the 2014 Bulldog 100 Magazine. Resolution Technologies was ranked 33rd in this impressive list of 100 companies. 2013 Pacesetter Awards – Atlanta’s 100 Fastest-Growing Private Companies. A full-service information technology staffing firm, Resolution Technologies Inc. offers contract, contract-to-permanent, and direct permanent placements for its clients. Since its founding, the company has seen notable growth, with revenues surging 1,955 percent from 2009 to 2010 and 157 percent from 2010 to 2011. Our favorite part about Resolution Technologies is the company’s firm commitment to providing high-level customer service. President Joe Bell says his company takes the time “to understand each person’s goals and objectives. In an age where everyone has moved to short-term transaction-based selling, we believe in long-term relationship-based partnerships.” We couldn’t agree more. Even in a struggling economy, metro Atlanta companies found ways to not only survive, but shine, earning them a Pacesetter Award. Resolution Technologies, a full-service information technology staffing firm, came in #2. The company offers contract, contract-to-permanent and direct permanent placements for its clients. 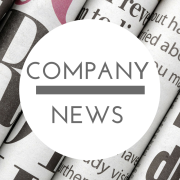 Since its founding, the company has seen notable growth with revenues surging 1,955 percent from 2009 to 2010 and 157 percent from 2010 to 2011. Through rapid expansion, Resolution Technologies remained focused on providing high-level customer service, which includes meeting clients face-to-face and doing business in person, said President Joe Bell. How Do You Find a Job That Matches Your Skill Set? How Deep is Your Talent Pool? Have a Specific Job Available? Where Are All of the Candidates?